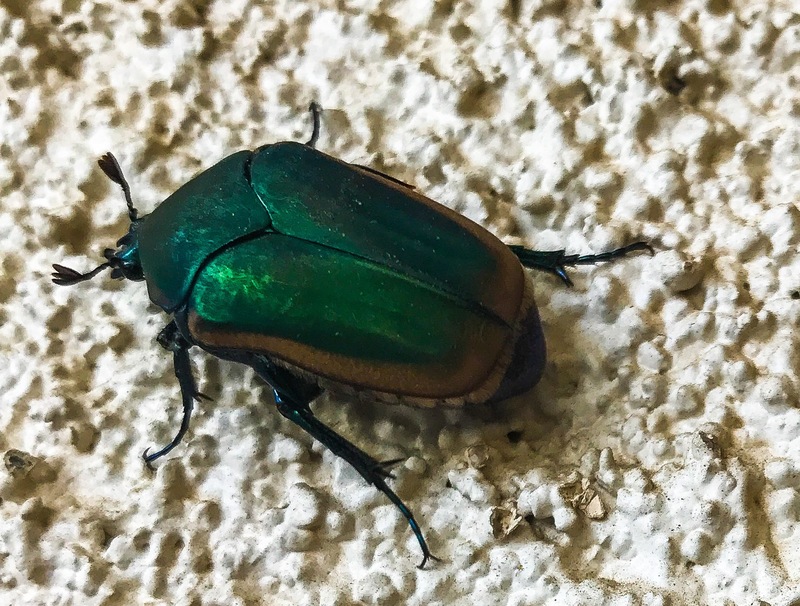 I took a picture of this June Bug (or Beetle, depending on what you may have learned its colloquial name as) where it was perched right outside my door at work. Many of my students jerked back in disgust and fear (Ahh! A big bug! Kill it!) as they walked past it into class; I insisted on taking a picture to capture the iridiscent beauty of this beetle. They did not care that it was harmless–many said they would smash it if given half a chance. I did not give them one. I would rather capture the beauty of nature than destroy it.